Gift cards are an almost inconceivably huge industry. The Australian gift card industry is estimated to be worth between $1.5 billion to $2.5 billion annually, which means the secondary market is both lucrative and totally overwhelming — especially right after the biggest gift-giving holidays of the year. If you have a weird gift card to sell or trade, here’s what you need to know to get the most out of it. Before you get too excited about trade-ins, you need to know what your card is worth. Don’t go typing your PIN into random balance-checking sites, though; fraudsters love gift cards, which means there are loads of scam sites out there. Always visit the card manufacturer’s website or call the phone number on the back to check your balance accurately and safely. 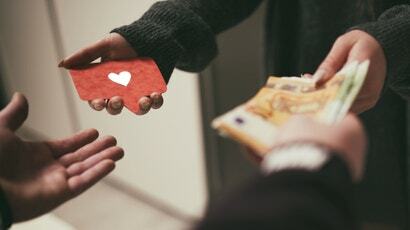 Sure, third-party gift card sellers verify the balance for you, but it’s good to know what you’re working with—especially if the giver is a known re-gifter. Armed with your balance you can finally make an informed decision about what the hell to do with yours. Luckily, the Internet makes it easy to swap an unwanted gift card for one you’ll actually use or sell it for cold hard cash — but how much you can get depends on where and how you sell it. The biggest drawback to selling off gift cards is a drop in value. Third-party merchants like CardPool, CardCash, and Raise take at least fifteen per cent of the card’s balance off the top, then make further deductions based on the popularity of the card and the payout method you choose; if your state laws allow dormancy or service fees, you could lose even more. Generally, though, the more popular the retailer and the slower the payout method, the higher your return will be. Listing your card for sale on a site like CardPool or Raise and waiting for a check to arrive in the mail nets you more money than selling a card for a same-day PayPal or ACH transfer. While it may be tempting to crunch the numbers for every scenario, if you just want to get some use out of a well-intentioned but poorly executed gift, the most important thing to consider is how much it’s worth to you. If you’d rather have fifteen bucks in the bank than twenty in JB HI FI cash, sell it online and get that transfer. Unspent gift cards are literally worthless, so don’t sweat the details too much — whatever gets you to use it up is the right choice. Uh, yeah none of those websites (CardPool, CardCash and Raise) are actually available in Australia. Voucha is the current one in Australia, and Cardlimbo had a crack at it back in the day but went under. Just changing the store name to JB Hi Fi isn't sufficient localisation work mate.